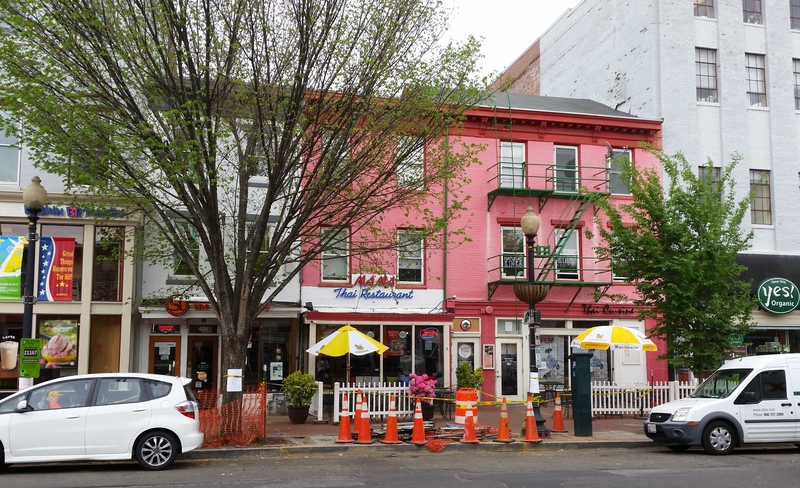 Nana Thai, the popular Barracks Row family-owned restaurant, will close – likely the first week of June – according to restaurant employees. The building’s second floor is occupied by Natural Kinks Hair and Braiding Salon, and it too will close within 90 days, according to owner Shannon Evans. 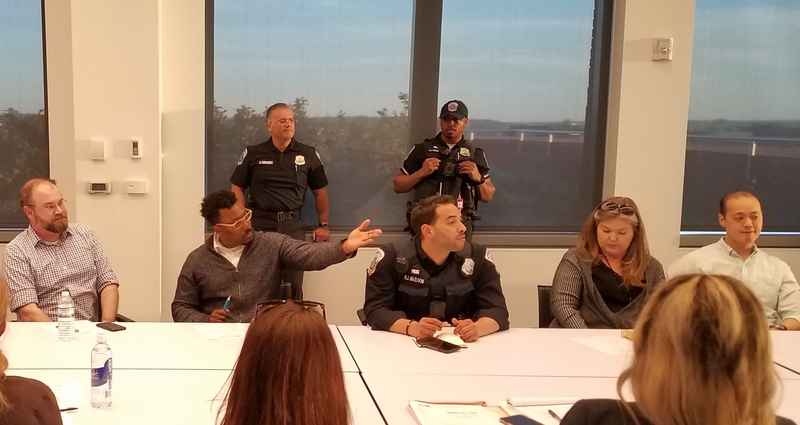 Douglas Development has purchased the building at 406 8th Street and the developer plans extensive renovations but the company’s plans for the site remain uncertain. According to sources, the building was owned by the family who runs Nana Thai. Technically both the restaurant and the salon have 90 days to vacate, but Nana Thai employees say the restaurant will close in early June. Both operations are looking for new locations to reopen, possibly on Capitol Hill. Long time Hill residents remember Mickey’s Pub and Patio which preceded the Old Siam, which last year gave way to Nana Thai. Douglas Development has been aggressively developing properties on Capitol Hill, including the old Kentucky Fried Chicken site at 15th and Pennsylvania, the retail building at the corner of 13th and Pennsylvania, the building housing Pret a Manger at 3rd and Pennsylvania, and the building occupied by District Doughnuts at 749 8th Street on Barracks Row. Ed. Note. An earlier version of this story reported that Capitol Hill Bikes was closing. CHC regrets the error. Capitol Hill Bikes is NOT closing, City Bikes is…for those mourning the loss of City Bikes on the hill, try Capitol Hill Bikes out. Far from leaving the hill, they just renovated their space. Looks great. That first block of 8th Street SE right off Penn. Ave. is a mess. 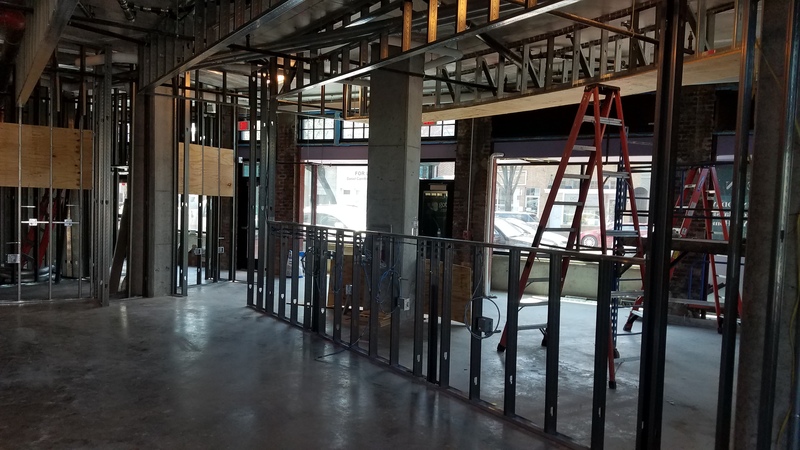 Until folks are moved along and not allowed to lie on the street and loiter on window sills and doorways, that block will not be welcoming for patrons. That’s never really a problem on the east side of the block where Nana Thai is (next to the fire station). More problematic around Starbucks, the bus stop and 7-11 on the west side. When was the last time you walked past the Dunking Donuts? There’s usually a group of guys loitering around there. I really hope this site is redeveloped into a 7-11 and maybe a place where I can buy a cell phone! There just aren’t enough places in the neighborhood for me to buy Buggles AND upgrade my iPhone. You joke, but there have been a remarkable number of business closings in the past couple of weeks: Sona, Capitol Hill Bikes, Homebody, Metro Mutts… what’s next? true. I wonder how much of an retail imbalance exists between food and other providers of goods and services. It must be tough for retailers when it’s such a weak draw for customers. Good luck to the owners finding an alternative location on the Hill that they can afford……. I suppose they have their reasons for selling, but if they wanted to stay on the Hill and still operate a restaurant, they would have been better off maintaining ownership of the building. I bet Douglass will fix it up and charge 3x or 4x times what could be charged for that space now. Before Mickey’s Pub and Patio, 406 8th Street SE was The Gentry, a shabby bar with great live Jazz and Blues. We had our wedding rehearsal dinner at Old Siam, and they made it a great night. Hope they are able to reopen somewhere on the Hill. What is the process for public involvement in these renovations? The last thing we want is for 8th st to start looking like all the ugly, ungainly streetscape created on 14th St NW. I’m worried because the development on Penn and 15th looks very much out of place and like the 14th St style. 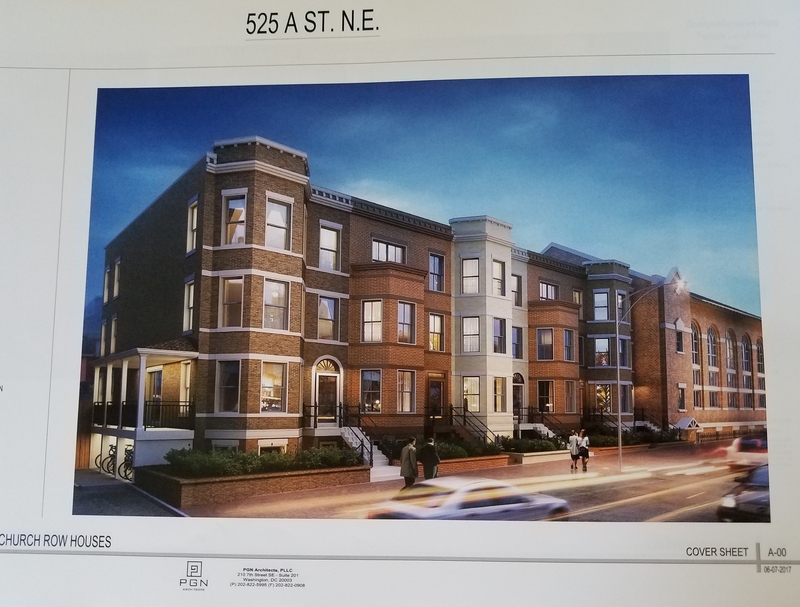 At least, ANC6B will be involved in any Historic Preservation application. Beyond that depends on what their plans are.